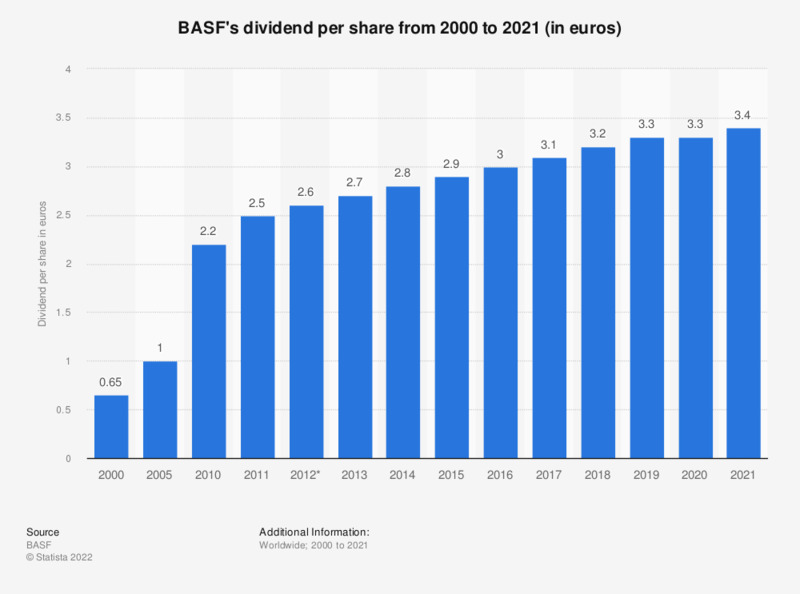 This statistic depicts the BASF's dividend per share from 1999 to 2018. In 2018, the dividend per share stood at 3.2 euros. BASF is the largest diversified chemical company worldwide and is headquartered in Ludwigshafen, Germany. * BASF has applied International Financial Reporting Standards 10 and 11 as well as International Accounting Standard 19 (revised) since January 1, 2013. Figures for 2012 have been restated; no restatement has been made for 2011 and earlier.